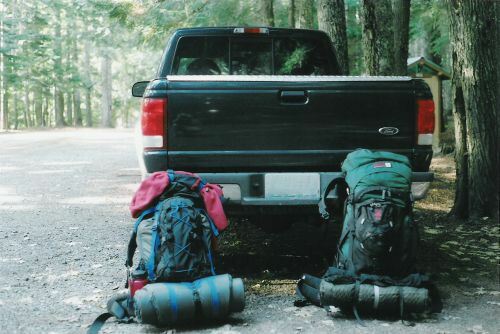 My cousin Alicia and I somehow got on the topic of backpacking a while ago, and we decided that we would like to do a trip together. Initially we had planned to go two weeks earlier but things didn’t work out, so we rescheduled for the weekend of the 22nd. As it turns out, that was the best time we could have gone. The weather was amazing, and we had a wonderful trip. Alicia ended up coming down to Portland from her home in Kennewick, WA on Friday night and we had dinner, got our gear together and then went to the Ohmega Watts show. At midnight when the show got over we headed to Winco for some last minute trail snacks and then headed to bed. 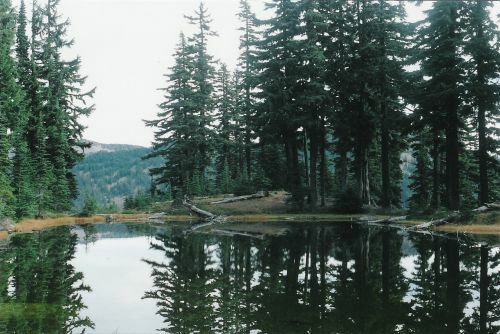 We got up around 6am and left for Packwood, WA where we left my car and took her truck up to the trailhead at Walupt Lake. Enjoy the photos! 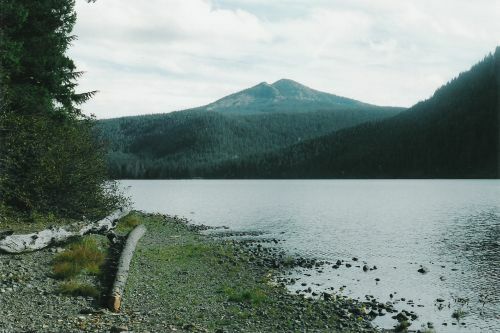 The hike started at the Walupt Lake campground, which was pretty nice. 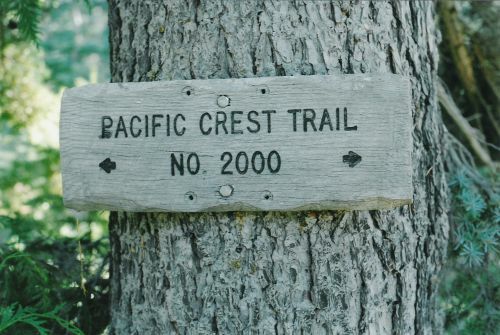 They had restrooms and picnic tables and all kinds of other luxuries that you wouldn't expect at a trailhead. 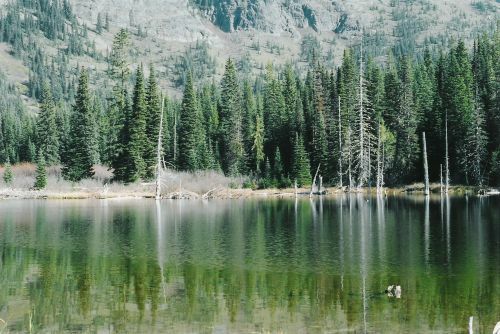 I didn't take this photo of Walupt Lake until after the hike was done, but we had a few nice views of it in the first leg of the hike that paralleled this nice big lake. 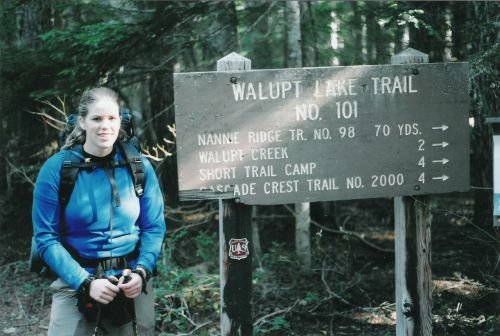 We began the hike on Walupt Lake Trail 101, did a section of the Pacific Crest Trail 2000 and came back on Nannie Ridge Trail 98. It was a nice loop, and a nice sign to remind us of the mileage and the different trails we took. 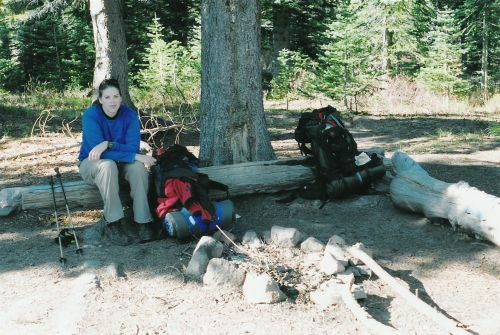 Although my cousin Alicia has probably done more hiking than I have, this was her first overnight trip. She picked the spot and planned it all. It turned out to be a great choice. 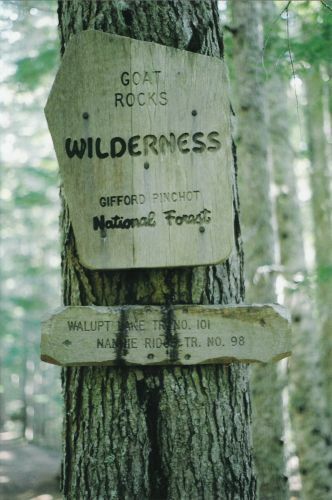 The trip was in the Goat Rocks Wilderness, and this sign also mentions the trail we started on and the trail we ended on. On our way past this sign the first time we didn't notice the Nannie Ridge Trail taking off to our left, but it was quite obvious when we came back. Four miles into the hike we arrived at Short Trail Camp, which was supposedly just under half way to our destination for the evening. 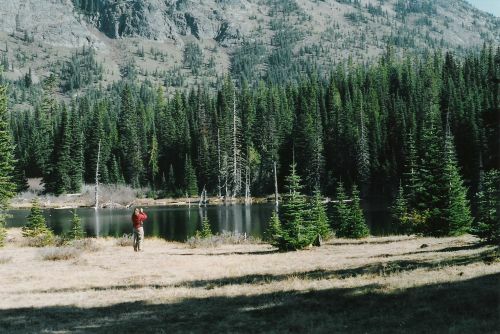 We stopped here for lunch and to enjoy the nice scenery of the unnamed lake by the camp. 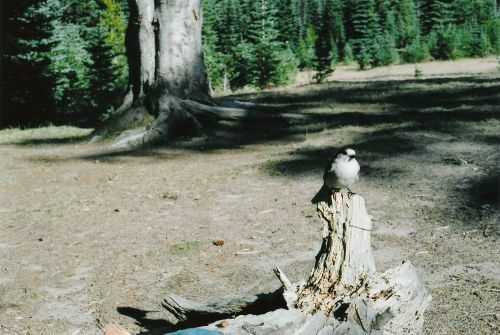 Apparently Short Trail Camp is a popular spot for lunch because the birds were expecting us. They were really aggressive and not shy at all about eating a cracker out of my hand. I got this shot with Alicia's help in laying some bait for this little guy, as you can see on the log. Alicia is taking a photo of the nice lake by our lunch spot. We still don't know the name of this lake, or several of the other small lakes we passed on the trip. The hills in the background are our next destination as we climb up to the ridge we would hike along for the next 4 to 6 miles. 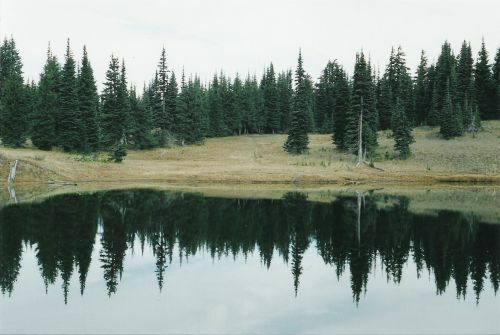 Here's another shot of the lake with some trees in front, and a view of the hills we were about to climb. 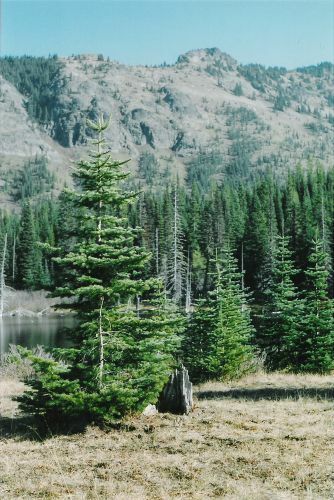 A closer view of the Short Trail Camp lake. 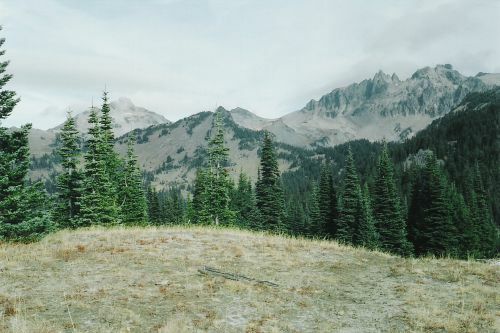 Shortly after our lunch break we came to the junction where we left the Walupt Lake Trail and started on the PCT. This was the beginning of a long and fairly gradual ascent up another 1000 feet in elevation. 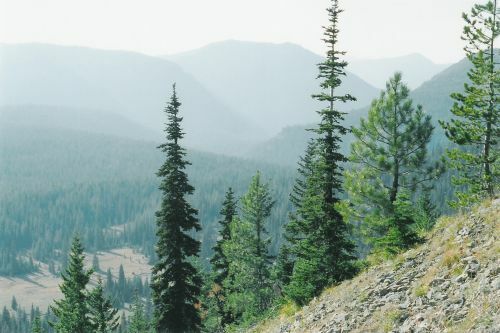 Once we began hiking along the ridge we got out into the open and had some great views across the canyon. In this shot, Mt. Adams is just beginning to peak out over the hills in the foreground. Because of the low contrast you can barely see it in the photo, but it was a very nice view in person. Below is the lake where we had lunch. We thought we were pretty high up at this point, but we still had a long way to go! 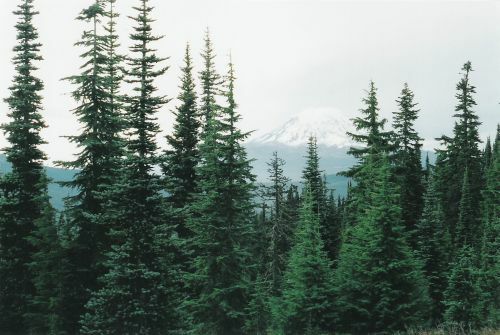 We walked along this ridge for quite a while as we continued to ascend to our high point. 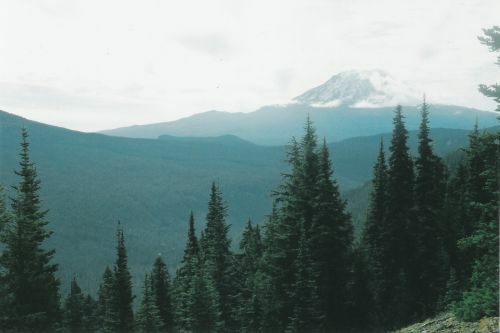 The slope to our left was generally fairly steep and the trees relatively sparse, so we enjoyed some great views as Mt Adams (behind us and to the left) continued to reveal itself more and more. 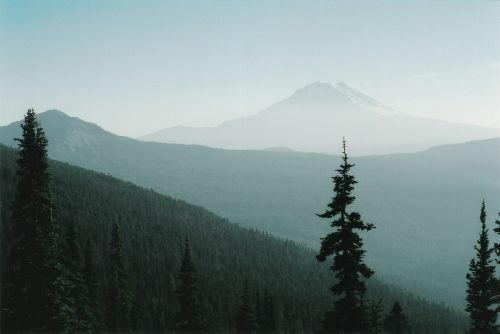 As we continued along the ridge we were blessed with this spectacular view of Mt. Adams, now fully revealed and out from behind the hills in the foreground. We were expecting to hike about 4.5 miles from our lunch spot to our camp site, which we expected would take maybe two and a half hours. Well, it ended up taking a lot longer than that. 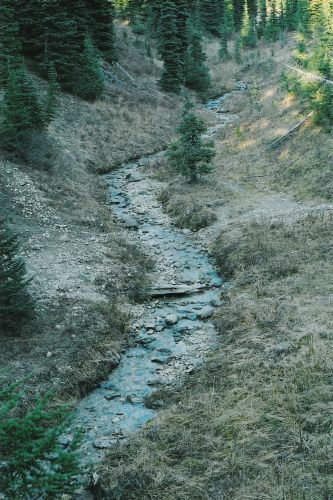 This creek was the biggest of several that were running down the hillside we were descending. 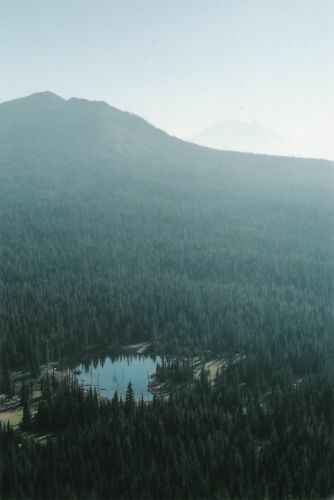 It gave us hope that a lake existed nearby, and therefore rest. We are still not sure how far it really was to our campsite at Sheep Lake, but we're fairly certain it was farther than at least one of our guide books told us! Well, we did eventually make it to our camp at Sheep Lake, according to the guide book about 9 miles in, and we were feeling it. This nice view of Mt. Adams peeking through the trees was one of the views that greeted us. 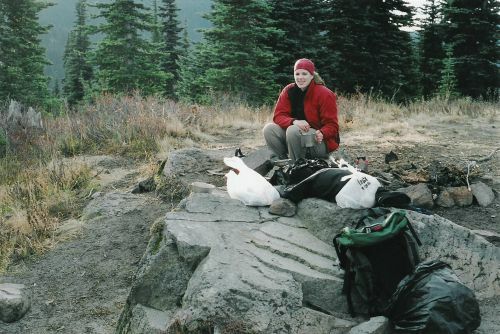 Our campsite was nicely furnished with this big rock structure that we used to lay out all of our gear, which came in really handy. Alicia was kind enough to bring the food this trip and after a pretty good night's sleep, she made some tasty eggs for breakfast in the morning. 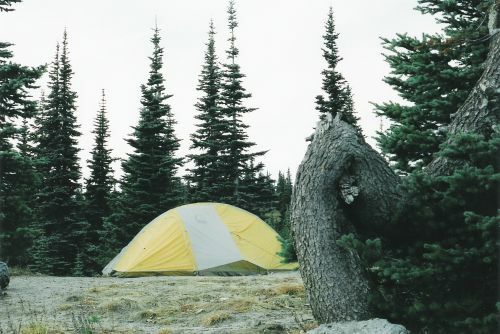 Our campsite had an amazingly flat and soft spot to pitch the tent on a nice high spot overlooking the lake. The ground underneath was sort of sandy, so it wasn't too bad to sleep on. 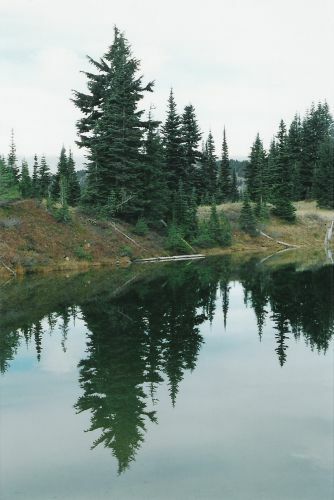 In the morning, Sheep Lake showed a nice reflection of the trees and the sky. Here's another shot of Sheep Lake in the morning that I liked a little better. The reflections are so clear, it was really nice. Just a couple minutes after we left camp we were blessed with a great view of Mt. Adams from the other side of the canyon. It was a little cloudy toward the mountain, but the weather was actually really nice during the whole trip--in October! I actually got a little sunburn on my face. It was amazing. Looking back from near the same spot of the last photo we got this nice view of what we assume are some of the Goat Rocks. I really liked these interesting peaks. As we hiked along the ridge on the other side of the canyon we passed several small nameless lakes, but this one really stood out. I don't know if you can tell from the photo, but the cliff dropped off just at the end of the lake. It was a pretty neat scene.